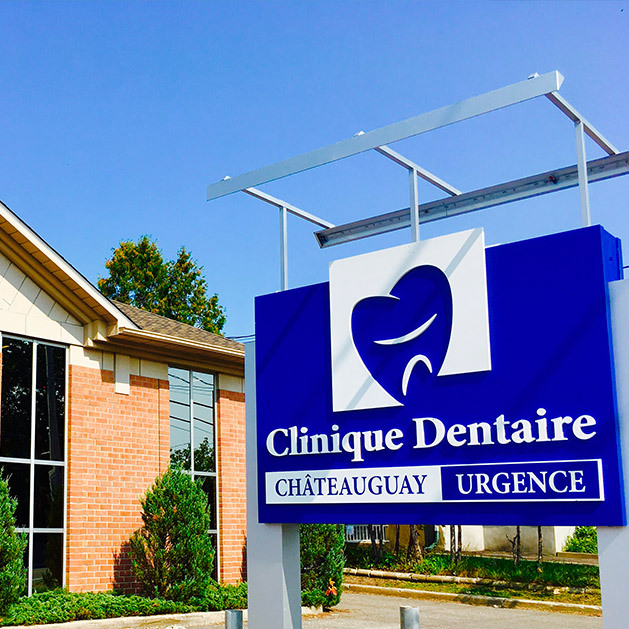 From teeth whitening to extraction of wisdom teeth, Clinique Dentaire Châteauguay is your primary reference point in the field of dental health. 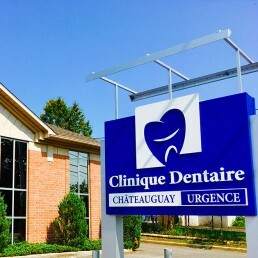 In addition to general dentistry services, Clinique Dentaire Châteauguay also offers specialized dental services designed to meet your specific needs, including gum treatment and installation of dental prostheses, among others. We use products that are approved by Health Canada. 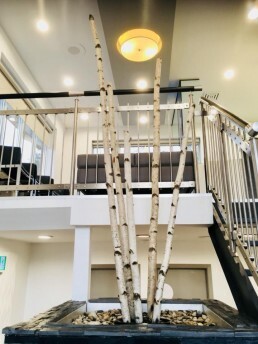 Our team at the Chateauguay Dental Clinic is our greatest strength. We are fortunate to have a motivated team dedicated to provide an outstanding service. Our employees of all the departments such as the secretariat, administration, dental assistance, dental hygiene and the dentists care about the well-being of our patients. We owe them our great fame. 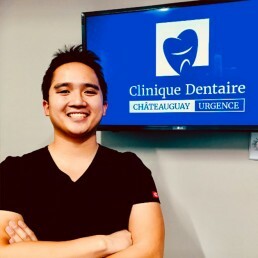 Dr. Duong completed his Doctor of Dental Surgery from Université de Montréal in 2001. He is dedicated to assure that everyone who walks through the doors of his office will receive excellent care. As a dental professional staying up to date on the latest advancement in dentistry, he has taken multiple continuing dental education courses; notably in treating gum diseases. Recognized for his soft, caring, compassionate approach and perfectionist side; his patients place a great deal of trust in him and his team. 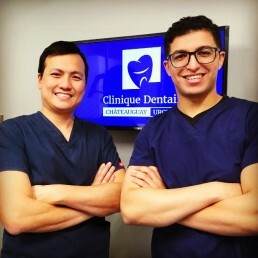 Dr. Omary graduated from the faculty of Dentistry at Université de Montréal in 2008. He then completed a one year multidisciplinary residency at the same institution. Having completed extensive training in the placement and restoration of dental implants, bone grafting procedures and surgery he is committed to providing all patients with the most comprehensive treatment plans available. His skills and calm approach will make you feel confident. Dr. Truong graduated in 2016 from the faculty of Dentistry at Université de Montréal. He has a particular interest for dentures and partials. He has a dynamic spirit and prides himself on delivering the best treatment possible while making you feel comfortable. He will always welcome you with a smile and a good sense of humour. Marie-Belle works incredibly hard to ensure that each patient receives the attention and care they need and deserve. She obtained a Minor Entrepreneurship at Université de Montréal and as a practice administrator, she wears multiple hats to help maintain our busy practice. Her warm and inviting personality, as well as her hard-working spirit, have made her an indispensable asset to the team. With her 23 years of experience in dental field, she will make your visit comfortable and positive. Annie, graduated from the dental assisting program in 2001. She is a passionate person whom receives great joy in helping clients reach their optimal oral health goals by building trust and professional relationships. She enjoys sharing her knowledge with others; she created a follow-up protocol for patients with periodontal disease. 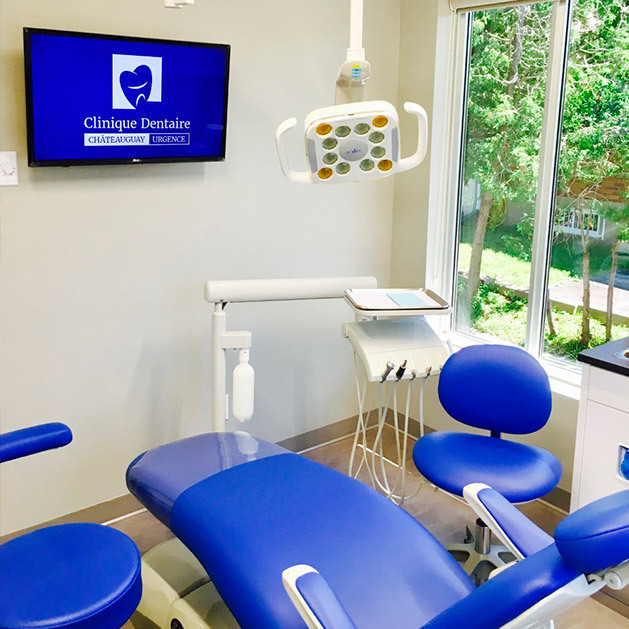 She also promotes oral health through organized community efforts Annie actively pursues continuing education opportunities and has accomplished multiple training courses over the last years. Geneviève, graduated since 2014, has accomplish different training courses in periodontics, such as laser technology. Geneviève’s cheerful smile will make you feel at ease with your dental experience. She takes pleasure in ensuring that your experience will be comfortable and efficient while maintaining a high standard of care. She is very gentle and compassionate about her work. Marie-Michèle Poissant graduated in 2015. She is professional and she will welcome you with a smile and will gladly take care of you. She values the connection between oral health and overall health. Marie-Michèle feels the best part about her job is meeting new patients and help them to take control of their dental care. Maryse graduated in 2017. She is thorough, diligent and her primary mission is to share her knowledge among her patients. While performing her professional duties, she ensures the comfort and well-being of patients by meeting their needs. Eager to learn more about oral hygiene, continuous formations occupies a large place of her profession. Prevention is important, thats why Maryse makes it her primary mission to her patients to help them prevent oral disorders.